Tweezerman Tweezers - Are They Worth The Price Tag? 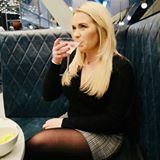 I am like most women and have become slightly obsessed with my eyebrows looking fabulous, or "on fleek" as the youngsters seem to say, I promise I will never use that phrase again. Your eyebrows can totally change the look of your face and I remember posting a long long time ago about some pictures that were floating around the Internet how NOT to shape your brows! If you fancy a giggle you can see that post HERE > Eyebrows - How Do You Groom Yours. 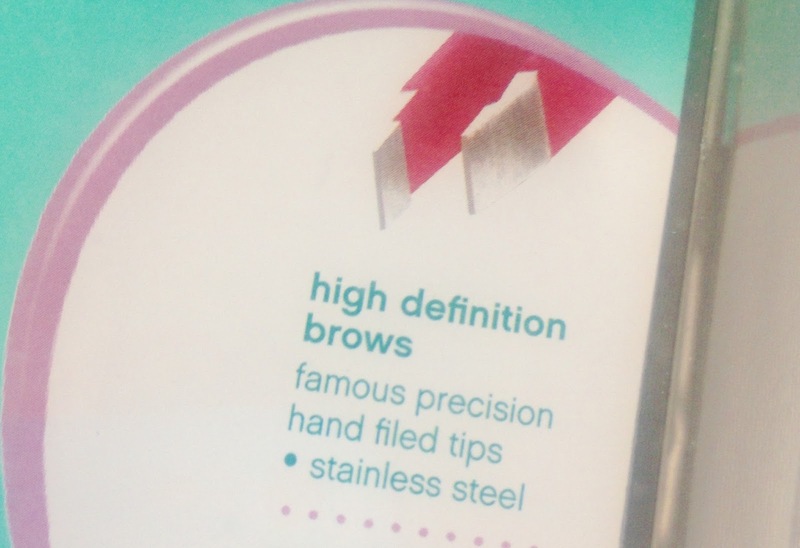 "Tweezerman Slant Tweezers in Pretty in Pink are famous for their unrivalled precision, with perfectly aligned, hand-filed tips which are designed to grab the hair every time.Tweezerman Slant Tweezers are consistently acclaimed as setting the standard for quality and excellence. The hand-finished tips are perfectly aligned to grab the hair without fail. For over 25 years, the award-winning Slant has been the choice of make-up artists, models, celebrities and those who demand the very best." I recently lost my beloved Tweezerman Tweezers and I thought about buying another pair but then thought to myself....can they be that good to spend around £20 on them? Surely a cheap pair will do the trick, so off I went to Wilko to buy a cheap pair, how wrong I was! So my very observant other half ordered me these beauties. These tweezers are definitely worth the price tag. They are easy to grip and hold, the slant is perfect to reach even the shortest of stray brows and they are easy to use. I find some tweezers are hard to grip and grab the hairs, usually with me ending up pulling my skin and making my eyes water, we have all been there! But these are just perfect. 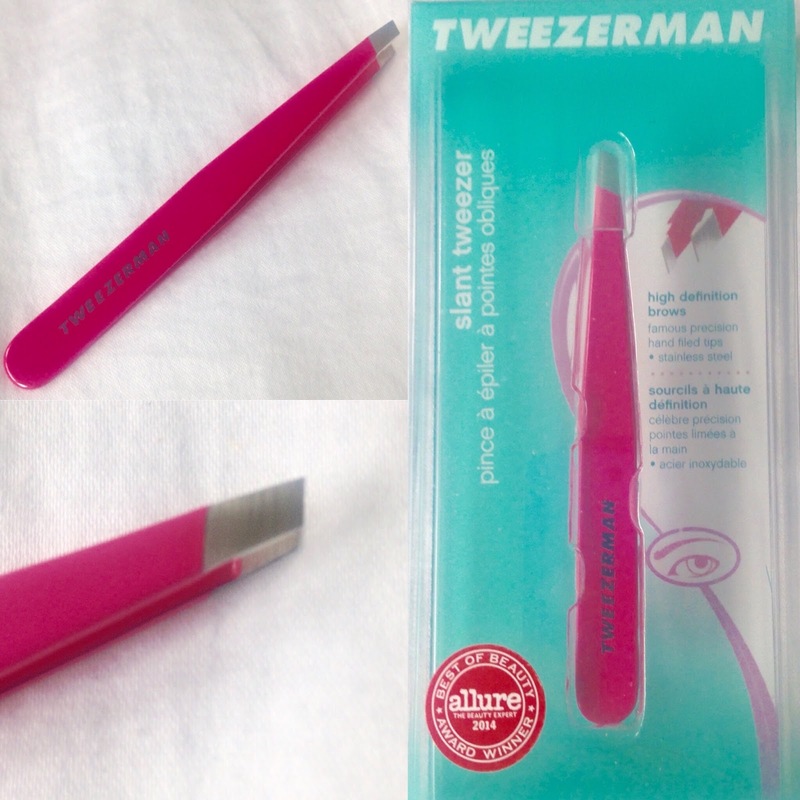 If you do pluck your eyebrows and find it a hassle, as I do, you should definitely invest in a pair of Tweezerman Tweezers, they have a great range of different tips/slants and they range in price depending on where you get them from, but in general they are around £15 - £25. Amazon have some great prices, these were £14.31 with FREE delivery (if you spend over £20.00). Amazon also have some mini Tweezerman Tweezers in mint green for £12.00 with FREE delivery (again if you spend over £20.00). Do you own a pair of Tweezerman Tweezers? If so, what are your thoughts? I wouldn't be without mine! I went on holiday once without them and had to buy a cheap pair and was so disappointed. I now have a couple of pairs, they are just indispensable!